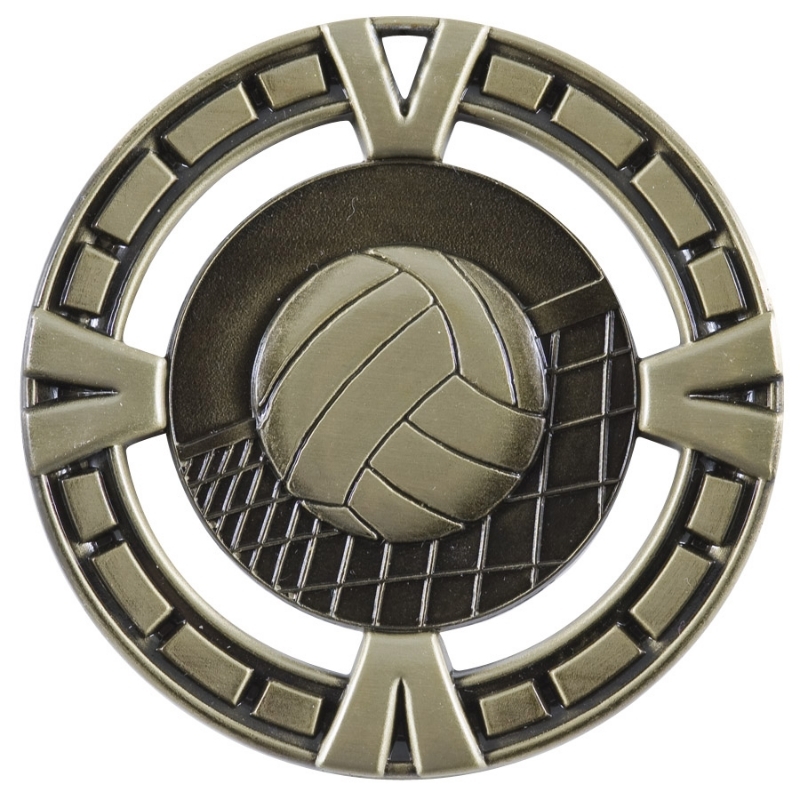 Unique cut-out design gives these 2.5" medals a distinct look. Can be ordered with or without engraving on the back. Your color choice of neck ribbon is included.